Does President Trump Listen To CIA Director Gina Haspel? Has North Korean Leader Kim Jong Un Demoted His Sister? European Churches Are Being Vandalized, Defecated On, And Put On Fire "Every Day"
Could Arson Be Responsible For The Notre Dame Cathedral Fire? Will The Release Of The Mueller Report Make Public Those Who Gave 'Damaging' Information On President Trump? Former federal cabinet minister Jason Kenney's United Conservative Party has won a majority in Alberta's provincial election, unseating Rachel Notley and ushering in a return to the centre-right for the province. Kenney's victory follows an often heated 28-day-long political slugfest, dominated by name calling and personal attacks, allegations of voter fraud and even a last-minute RCMP search of a UCP candidate's office. Cheers erupted and chants of "UCP! UCP! UCP!" rang out at Kenney's election night headquarters in The Big Four building on the Calgary Stampede grounds when news of his victory flashed on a screen in the room. Update: Jason Kenney's UCP wins majority, defeating Rachel Notley's NDP (National Post). WNU Editor: The election was not even close. With over 50% of the vote, the United Conservative Party has won a massive majority, and will immediately join the growing provincial opposition to Prime Minister Trudeau's climate and economic policies. * France's superrich have pledged to donate millions to help rebuild the Notre-Dame Cathedral in Paris after a devastating fire. * The donors include LVMH Chairman and CEO Bernard Arnault, Kering founder François-Henri Pinault, and the Bettencourt Meyers family, which controls L'Oréal. * Apple CEO Tim Cook said his company will also donate but didn't give a specific amount. * At least $728 million has been pledged so far. France's superrich have stepped in and pledged to donate millions to help rebuild Notre-Dame, one of the most recognized sights in Paris, after the centuries-old cathedral was devastated by a fire. The fire toppled the cathedral's iconic spire and led to the collapse of the roof, but the two bell towers and much of the shell of the structure were saved. WNU Editor: While these pledges are impressive, it will really be the small donations that will make the difference. And these donations will be needed .... Rebuilding Notre Dame will be long, fraught and expensive (AP). It will also take a long time before the doors are open to the public again .... Years? Decades? Uncertainty over time needed to rebuild Notre-Dame (AFP). 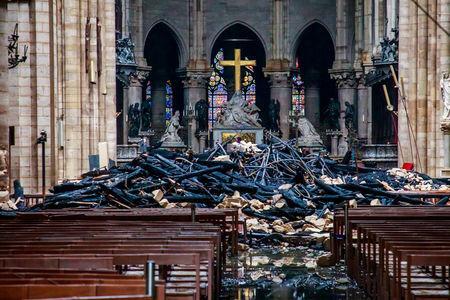 WNU Editor: The above picture is from this photo-gallery .... Notre-Dame smolders the morning after blaze (Reuters). Another photo-gallery can be viewed here .... Assessing the damage at Notre Dame Cathedral – in pictures (The Guardian). Update: Here is another impressive photo-gallery .... 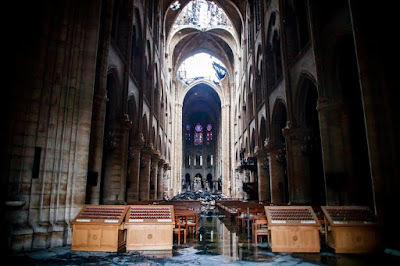 I walked through the gutted cathedral… then the crucifix shone from what remained of the altar, a symbol of defiance in the gloom: ROBERT HARDMAN is among first witnesses inside ravaged Notre Dame (Daily Mail). 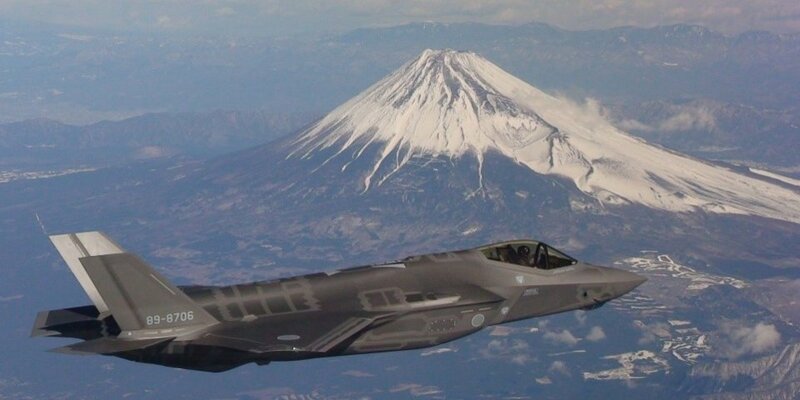 The aircraft, designated AX-6, is the second F-35A assembled at Mitsubishi Heavy Industries' F-35 Final Assembly & Check-Out (FACO) facility in Nagoya, Japan and is the first to be assigned to the JASDF's 3rd Air Wing, 302nd Tactical Fighter Squadron, Misawa Air Base, Japan. JASDF's 3rd Air Wing, 302nd Tactical Fighter Squadron, Misawa Air Base, Japan. * One week has passed since a Japanese Air Self-Defense Force F-35A Lightning II Joint Strike Fighter mysteriously disappeared. * Japanese authorities believe the fifth-generation stealth fighter crashed in the Pacific. * The US and Japan have deployed high-end search and rescue and surveillance assets to find the missing pilot and his fighter jet, but so far, the allies have only been able to recover debris. * "The F-35A is an airplane that contains a significant amount of secrets that need to be protected," Japan's defense minister said recently. WNU Editor: Here are some facts on the F-35 program .... Factbox: The F-35 - stealthy, numerous and expensive (Reuters). WNU Editor: On a side note, it looks like North Korean leader Kim Jong-un will be meeting Russian President Putin in the coming weeks .... Kim Jong Un to meet Vladimir Putin as North Korea pivots to Russia for help (ABC News). * The resolution passed the House of Representatives in April and the Senate in March, marking the first time both chambers of Congress had supported a War Powers resolution, which limits the president's ability to send troops into action. * Neither the 247-175 tally in the Democratic-majority House nor the 54-46 vote in the Republican-led Senate would be enough to override the veto, which would require two-thirds majorities in both chambers. WNU Editor: There are not enough votes to overturn this veto. 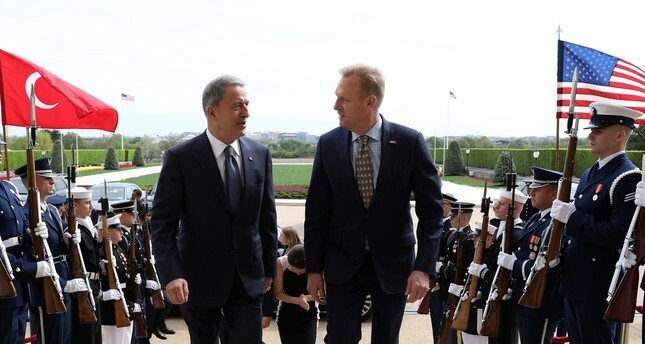 Turkish Defense Minister Hulusi Akar on Tuesday met with Acting U.S. Defense Secretary Patrick Shanahan in Washington to discuss the S-400 rift between the two countries and the regional developments in Syria. According to a statement by the Ministry of National Defense, Akar and Patrick discussed developments in Syria, bilateral relations, other regional security issues, and defense industry cooperation between both countries. Akar "reiterated Turkey's views and expectations on the proposed Safe Zone in Syria, S-400 procurement, F-35 aircraft and latest developments in the Eastern Mediterranean," according to the statement. It said Akar underlined the importance of cooperation between Turkey and the U.S. on the basis of strategic partnership that would ensure the stability and security of both countries. WNU Editor: This is what Turkey wants .... Turkey eyes Trump protection from any sanctions for Russian defense purchase (Reuters). But it looks like this meeting was a bust .... U.S., Turkey Fail to Break Impasse on Russian Missile-Defense System (The Wall Street Journal). ISIS fanatics are heartlessly revelling in the inferno at Notre Dame Cathedral just days before Easter calling it 'retribution and punishment', according to terror intelligence researchers. 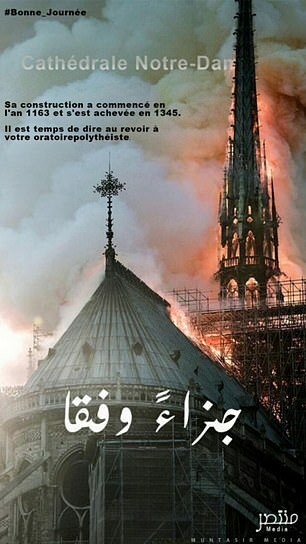 A poster of the blazing cathedral appeared online accompanied by the words, 'Have a good day,' and was created by the ISIS affiliated Al-Muntasir group according to the Terrorism Research & Analysis Consortium. WNU Editor: Why am I not surprised. 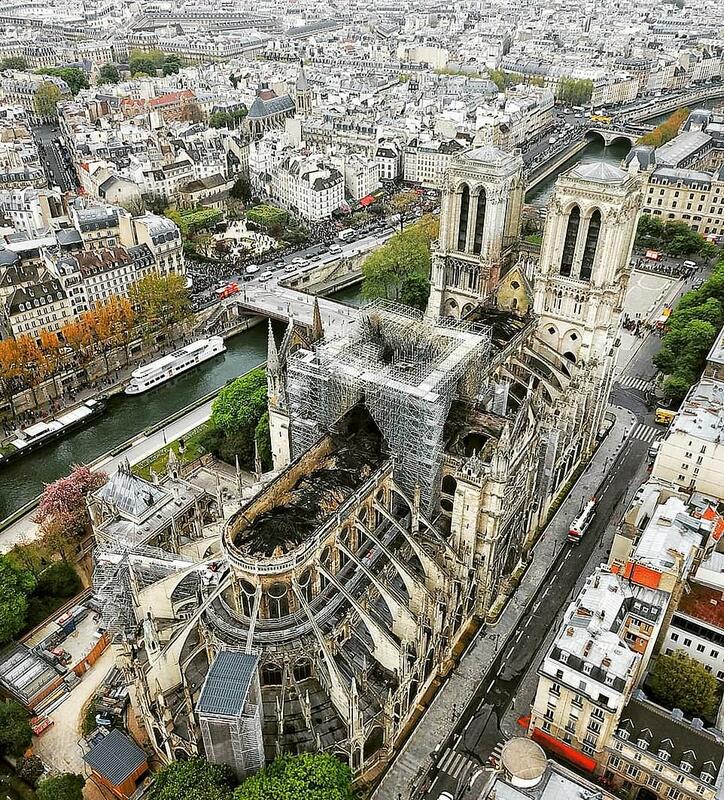 Beneath the light rain that greeted a sleepless Parisian dawn yesterday, there was one over-riding emotion: That some sort of miracle had occurred in the early hours as it transpired one of the world's greatest medieval buildings had survived wholesale destruction. The near-cataclysmic fire which had raged through the Cathedral of Notre Dame for eight hours during the night had finally been brought under control and smothered by first light. Notre Dame has, without doubt, been horribly damaged. France, along with much of the world, has been deeply shocked at the near-demise of 'Our Lady of Paris'. Yesterday evening, fresh images of the wreckage were released showing the aisle piled high with charred and twisted timbers. Turkey eyes US sanctions waivers on Iran oil, Russia arms. Erdogan's AK Party appeals for rerun of Istanbul's mayoral poll. Christianity grows in Syrian town once besieged by Islamic State. Syria fuel shortages, worsened by US sanctions, spark anger. Iran's top diplomat in Damascus ahead of Syria talks. Iran ratifies bill designating US CENTCOM as terrorist group - reports. Bahrain strips over 100 of nationality on 'terror' charges. Israeli lawmakers back Netanyahu to form government. Saudi king hosts Abu Dhabi crown prince amid Sudan turmoil. New Zealand's revises national security threat level to medium. 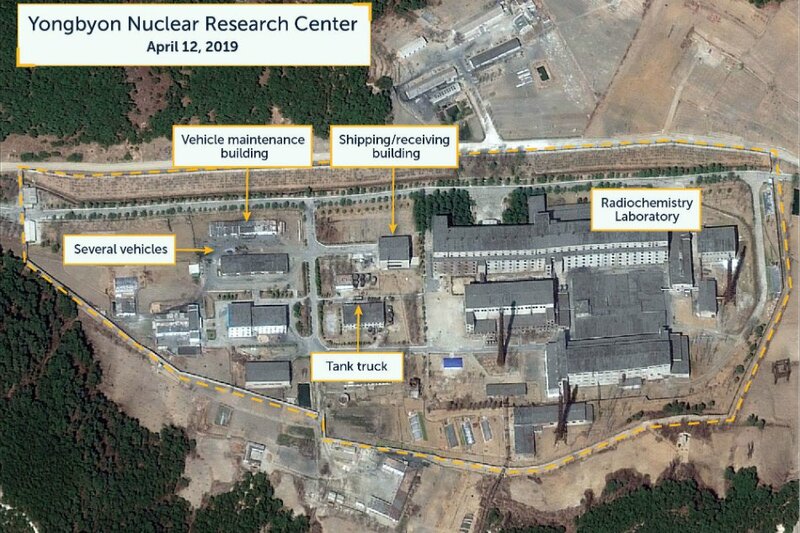 Satellite images may show reprocessing activity at North Korea nuclear site: think tank. Indonesians choose president, parliament in world's biggest one-day vote. Pakistan forces destroy 3-storey building in militant battle. Kabul announces list of 250 Afghans for talks with Taliban. Philippines to take legal action against China for clams harvest. North Korea's stockpile of cryptocurrency worth $700M, analysts say. 'Pompeo lost his mind': Chinese diplomat hits back at US attacks on Beijing's investments in Chile. Congo's leader sets Ebola outbreak end date after 800 deaths. Western allies add fuel to Libya's fire with alleged military shipments to warlord. Late night shelling in Tripoli as Europe, Gulf divided over Haftar's push. Libya's UN-backed govt appeals to Europe against Haftar. UN Libya envoy: Haftar offensive on Tripoli 'sounded like a coup'. Fear of army action as Sudan protesters toughen stand. African Union gives Sudan military 15 days to establish civil rule. Algerian military considering all options to end crisis. Army chief says 'time running out' to resolve Algeria crisis. Nigerian Army destroys major oil smuggling hub. New UN envoy to work with African Union on Sudan crisis. Egyptian parliament vote could keep Sisi in power until 2030. The Latest: Macron wants Notre Dame rebuilt within 5 years. Notre Dame assessed for structural damage after fire extinguished. 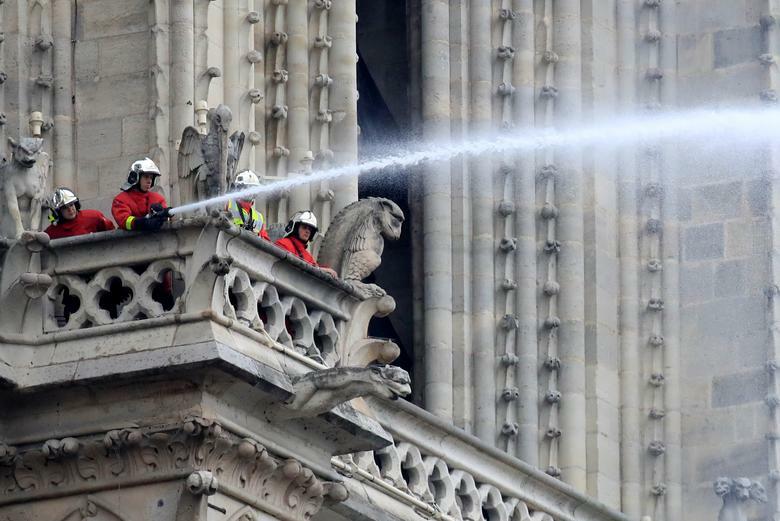 French authorities rule out arson in Notre Dame Cathedral blaze. France's Macron pledges to rebuild Notre Dame Cathedral. Mutual friends and borrowed cars: how Ukraine's would-be leader is linked to tycoon. Tory deregulation agenda stalling Brexit talks, says Corbyn. UK police arrest more than 200 in climate change protests. Russia's parliament votes to unplug internet from world. Russia jails Norwegian Frode Berg for spying on submarines. Oil workers reveal a Venezuelan region crumbling despite its resources. Trump expresses Notre Dame 'condolences' to Macron: White House. Trump says he's not concerned about Mueller report's release. Trump says Russia probe 'con job,' as fuller report looms. US to allow lawsuits over Cuba property confiscation. US hands Argentina declassified documents on 'Dirty War'. Museum cancels event honouring Brazil's Jair Bolsonaro. Support strong for Guaidó in devastated Venezuelan oil city. US health officials seek to stem measles outbreaks traced to Israel, Ukraine. Hundreds of prisoners released in Nicaragua ahead of protests anniversary. Canada court orders fresh look into Trudeau visit to Aga Khan's island. US says Sudan new regime can exit terror list if progress. US military says it killed ISIS-Somalia deputy in drone strike. Instagram accounts of Iran Guards commanders blocked. Iran names U.S. Central Command as terrorist group. Al Qaeda linked Kashmiri terror chief denounces Pakistan, calls for renewed jihad. Stocks rise after solid economic data, earnings. F1 in talks over second China GP, road race on cards. Billions at stake as Apple vs Qualcomm trial begins. Jack Ma defends the 'blessing' of a 12-hour working day. 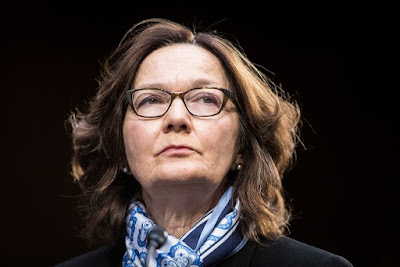 New York Times: Gina Haspel Relies on Spy Skills to Connect With Trump. He Doesn't Always Listen. Ms. Haspel, who will give only her second public speech as director on Thursday, has taken the reins of the nation's premier intelligence agency at a difficult moment in its 71-year history, under pressure from a president often publicly dismissive of its conclusions and a White House that views national security professionals with deep skepticism. WNU Editor: A puff piece from the New York Times on CIA Director Gina Haspel. As to the her relationship with President Trump .... I suspect that it is good. She is not political, and she clearly has the President's ear. Marking another break from Trump's predecessors that threatens to upend relations with allies, the administration plans to enforce a provision of a 1996 law known as Helms-Burton that allows Cubans who fled Fidel Castro's regime to sue companies that have used their former property on the island. WNU Editor: This is going to hurt the Cuban government. The Essex ARG and 13th MEU were the first to deploy from the United States with the F-35B, and they operated in the Pacific and Middle East from mid-July until their March 1 return home to San Diego. The deployment not only generated lessons learned on how to operate and sustain the F-35B jets as part of the Marine unit and in support of its objectives ashore, but also how to use the new jet to support blue-water Navy missions at sea, 13th MEU Commanding Officer Col. Chandler Nelms and Amphibious Squadron 1 Operations Officer Lt. Cmdr. David Mahoney told the Potomac Institute for Policy Studies on April 12. WNU Editor: Not all missions require a super-carrier. A smaller version may just be as good. 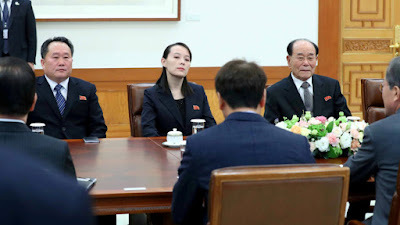 WNU Editor: She has always been with North Korean Leader Kim Jong Un in the past, and she will be in the future. She is not a threat, and she is certainly not a liability. So no .... she has not fallen from favour. Iranian Foreign Minister Javad Zarif offered to send Iranian Revolutionary Guard troops to protect embattled Venezuela President Nicolas Maduro, according to Channel 13 news. Venezuela has been in crisis since its National Assembly chief Guaido proclaimed himself acting president of Venezuela following a mass opposition rally against incumbent socialist President Nicolas Maduro. 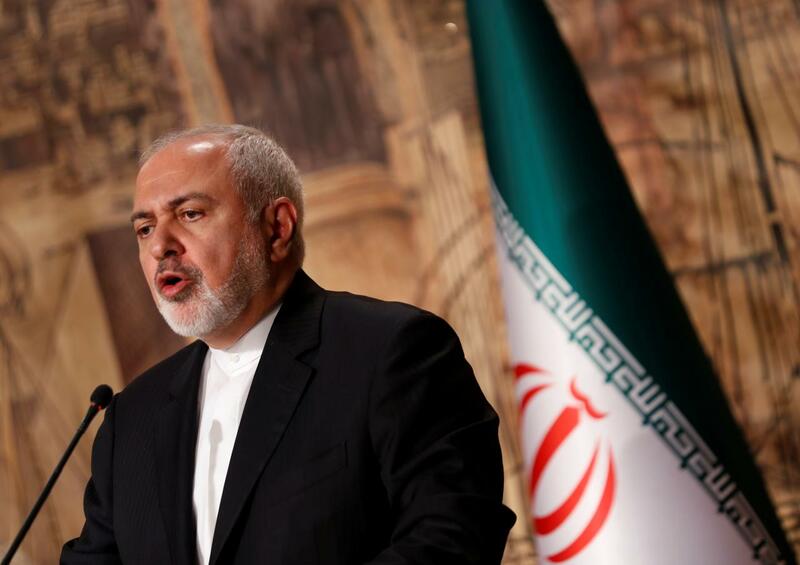 WNU Editor: The Iranians already have their "air-bridge" to Venezuela .... New Air Bridge Reflects Iran's Growing Influence in Venezuela (VOA). 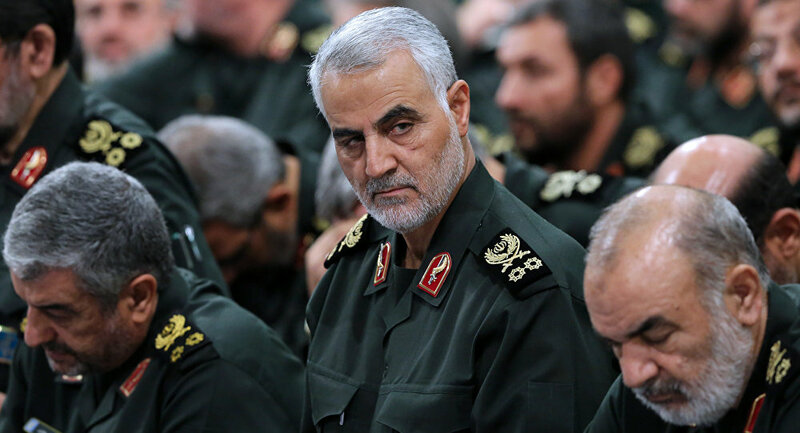 The Instagram accounts of at least three commanders of the Iranian Revolutionary Guard Corps were suspended on Tuesday, only a day after the US officially designated it as a foreign terrorist organization. The accounts that were suspended included those of Major-General Qasem Soleimani, the commander of the Quds Force, Major-General Mohammad Ali Jafari, the commander-in-chief of the IRGC, and Brigadier-General Mohammed Pakpour, the commander of the IRGC Ground Forces. The reasons for the suspension of the accounts were not immediately clear. WNU Editor: I guess their Facebook accounts will be next. 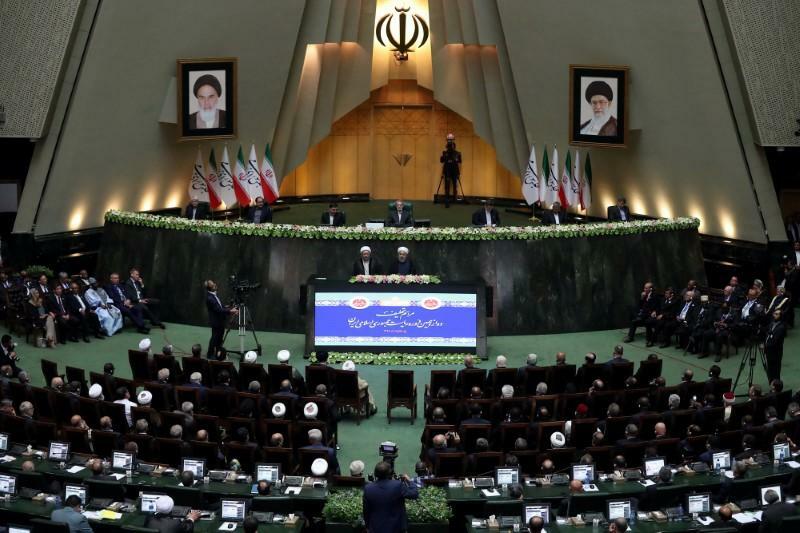 The bill, which was overwhelmingly approved by the Iranian parliament, comes a day after the U.S.'s terrorism designation for Iran's Revolutionary Guard Corps (IRGC) officially took effect, the news service noted. Iranian Defense Minister Gen. Amir Hatami introduced the bill, which accuses U.S. forces of "terrorist actions" and demands authorities use "legal, political and diplomatic" measures to neutralize them, according to the AP. WNU Editor: Iran is following up form what they promised to do last week .... Iran Responds To The U.S. Decision To Designate The Revolutionary Guards As A Terrorist Organization (April 9, 2019). Portrayal of Soviet withdrawal from country distorts historical facts, claims politician. A row has broken out in Russia over a film about the Soviet Union's withdrawal from Afghanistan, after politicians and former servicemen criticised its unflattering depiction of Red Army soldiers as unpatriotic. Leaving Afghanistan, directed by Pavel Lungin, is based on the experiences of Nikolay Kovalyov, a veteran of the Afghan war who went on to lead Russia's FSB spy agency. It tells the story of a group of Red Army soldiers whose departure from Afghanistan is delayed after they are ordered to free a Soviet general's son taken captive by mujahideen fighters. Lungin told Variety magazine last year that the film depicts the "senselessness and cruelty of war". WNU Editor: This looks like Russia's version of Platoon. The Western alliance suspended military and civilian cooperation with Russia in the spring of 2014 in response to Moscow's annexation of the Crimean peninsula. Several disputes, including a naval standoff in the Kerch Strait and the U.S. withdrawal from a Cold War-era nuclear treaty, have further strained ties between Russia and the 70-year-old bloc. Russian condolences poured in after a fire tore through the iconic Notre Dame Cathedral in the heart of Paris late on Monday, but some commentators in the country said the inferno symbolized the decline of Europe. Firefighters doused the smoldering ruins of the eight-centuries-old Gothic cathedral with water on Tuesday as investigators tried to establish what started the fire, Reuters reported. The blaze consumed the roof and caused the cathedral's spire to collapse before firefighters brought the flames under control in eight hours, saving its bell towers and outer walls. Muscovites brought flowers to the French Embassy as a show of support in the wake of the fire. The first red carnations appeared outside the embassy as early as Monday evening, according to the state-run RIA Novosti news agency. At Russia's largest Catholic church, worshippers in Moscow held a service in honor of the badly damaged cathedral. WNU Editor: This is my view also. The Notre Dame fire will become a symbol to many on the decline of Western Europe. This is also a good reason on why it should be rebuilt ASAP. Gatestone Institute: European Churches: Vandalized, Defecated On, and Torched "Every Day"
* In Germany, four separate churches were vandalized and/or torched in March alone. "In this country," PI-News, a German news site, explained, "there is a creeping war against everything that symbolizes Christianity: attacks on mountain-summit crosses, on sacred statues by the wayside, on churches... and recently also on cemeteries." * In virtually every instance of church attacks, authorities and media obfuscate the identity of the vandals. In those rare instances when the Muslim (or "migrant") identity of the destroyers is leaked, the desecraters are then presented as suffering from mental health issues. WNU Editor: With the exception of the "Get Religion" post below, all of these articles were posted before the Notre Dame Cathedral fire. PARIS (Reuters) - The fire that tore through Notre-Dame cathedral was probably caused by accident, French prosecutors said on Tuesday after firefighters doused the last flames in the ruins overnight and the nation grieved for the destruction of one of its symbols. 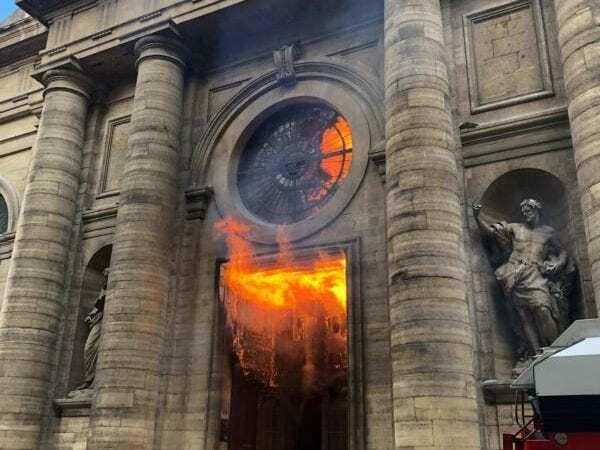 WNU Editor: The political and media rush to deny arson being responsible for the Notre Dame Cathedral fire is quite a sight to see. No one knows what caused the fire, and an investigation has not even started. But the conclusion on every major news network is already been made that this was an "accident". WASHINGTON — Some of the more than dozen current and former White House officials who cooperated with special counsel Robert Mueller are worried that the version of his report expected to be made public on Thursday will expose them as the source of damaging information about President Donald Trump, according to multiple witnesses in the investigation. WNU Editor: We will know tomorrow if the Mueller Report names witnesses, and make public their testimonies (which I doubt). As for the release of the report itself. I expect nothing new will be revealed, but it is not going to stop those who have been voicing for two years that the evidence of Trump - Russian collusion is overwhelming to be quiet.